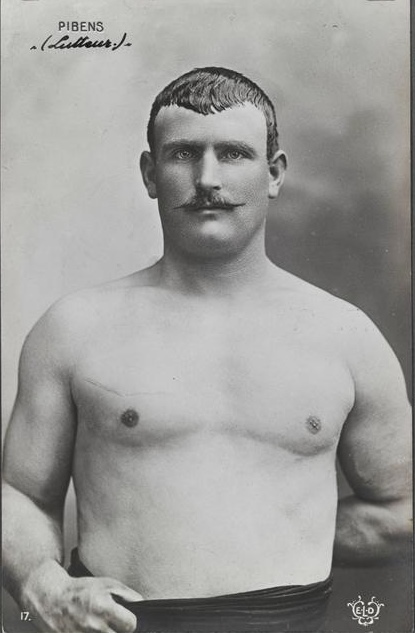 Mr. Pibens here was a Belgian wrestler who lost to Georg Hackenschmidt in 1900 at Graz, Austria. He shouldn't have felt bad, though. Hackenschmidt was a world champion, and everyone lost to him.